Posted on June 13, 2017 at 12:48 am. Smart home and business owners in Granbury, Texas know that HVAC maintenance pays off in improved performance and reduced energy bills. Preventative maintenance is an economical way to ensure that you, your family, or your building’s occupants, enjoy a comfortable environment all throughout the year. 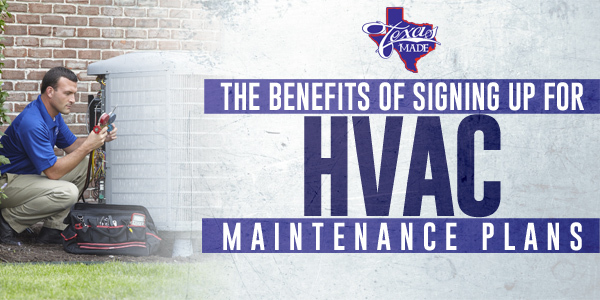 Savvy home and business owners sign up for HVAC maintenance due to several reasons. Why Preventative Maintenance Pays Off? Every part of your AC or furnace has its own unique function, but all components work in sync with each other. Just like a car needs minor repairs, a faulty HVAC unit may also lead to expensive repairs. When you sign up for a preventative maintenance for your HVAC, a certified technician will inspect and repair your equipment to ensure that everything works efficiently. This won’t just save you from costly future repairs, but it will also extend the longevity of your unit. Most importantly, you’ll enjoy a comfortable indoor environment while feeling thankful of lower energy bills. Most HVAC experts in Granbury, TX recommend that you have your air conditioner or heater serviced twice at the beginning of fall and spring season. By signing up for a professional HVAC maintenance, you will receive priority service and smart reminders when to have your next schedule. With regular HVAC preventive maintenance, you can catch minor issues before they become big and serious problems. HVAC experts in Granbury, TX also offer annual service agreements, which can reduce the cost of a Performance Tune-Up. To learn more about preventative maintenance, contact Texas Made Air Conditioning and Heating today.